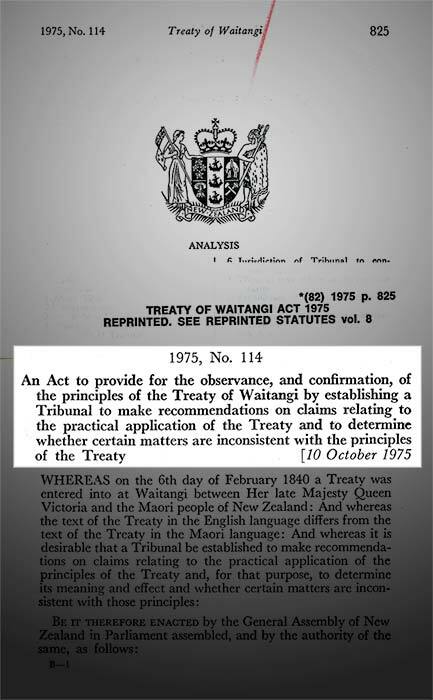 The earliest official use of the phrase 'the principles of the treaty' was in the Treaty of Waitangi Act 1975. This act set up the Waitangi Tribunal. Thank YOU. Excellently done and written. Publish this in booklet/pamplet form and distribute it to all channels - The MP's the Councils, Universities, Schools Health Boards, NGO's, wherever. Everyone of us need to KNOW. The Treaty itself was a con, The principles as understood by Maori and Pakheya is the important paradigm shift required, and this article I believe clearly addresses the issue. If I maybe politically incorrect in my thinking, so be it. Thank You.